Summer means friends, family and summer vacation! Choosing the destination is the first step to the rest of your vacation. So many places to go, so many great things to do! Unfortunately, there's that pesky little issue of budget to deal with. Overspending can take the joy out of any getaway. No one wants to sit under the beach umbrella calculating vacation costs with a pen and paper. Life's too short to spend it worrying about how to pay for the trip. Here are a few ideas to help you lower costs, and maximize fun. Don't spend your money on overpriced snacks at theme parks. Save it by bringing a few snacks from home. A variety box of individual packages make it easy to toss something in the backpack. Some places will let you bring snacks that you've never thought about (like Walt Disney World). Your own snacks are must for the beach or road trips. Spend the savings on that extra large memory card instead. 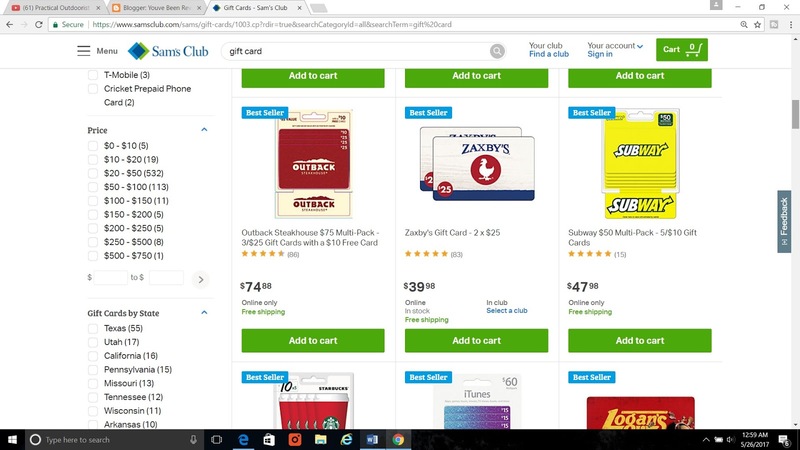 Did you know that you can get discounted gift cards at Sam's Wholesale Club and similar warehouse stores? Buy gift cards there for purchases you are likely to make anyway. Love the Cracker Barrel, Disney, Southwest Airlines or Steak N Shake? Buy these cards and more at a discounted price. Take your time when purchasing as some gift cards have deeper discounts than others. At the time of this writing, two $25 gift cards for Zaxby's are $39.88. Outback has a pack of three $25 cards for $74.88, but it comes with a bonus $10 gift card for free. Don't forget to check Groupon for everything from meals, experiences or entire vacations! A few minutes can save a bundle. The affiliate link on the right can get you started. I have personally bought discounted movie tickets, attraction tickets to the Titanic Museum on a cheap date night to Pigeon Forge with my husband. We've also used restaurant tickets. My husband even got discounted air show tickets and parking! Check online for the best prices on things like sunscreen or totes from places like Amazon or Walmart. You can even order online and have what you need sent directly to your hotel. Call them first to let them know. They sometimes have special instructions like using "care of" or adding your name to the address label. Travelmath.com lets you get an idea of what the gas costs will be to get to your destination. Type in your destination and starting point and it calculates the estimate based on current gas prices. Adjust for your vehicle's mile-per-gallon for the best results. Here's a video of the cheap date night that you might enjoy (mentioned above).